Det. Insp. Sean Duffy must solve the equivalent of a locked-room mystery in McKinty’s scorching fifth installment in his excellent Troubles-set Northern Irish crime series (after 2015’s Gun Street Girl). It’s 1987 in Carrickfergus, and Duffy, a member of the Royal Ulster Constabulary, is constantly on the lookout for mercury tilt switch bombs planted underneath his car, the calling card of the IRA. Meanwhile, the body of Financial Times journalist Lily Bigelow is found in the courtyard of Carrickfergus Castle. The only way in or out of the centuries-old structure, now a tourist attraction, is through a heavy gate, and CCTV footage proves that no one entered or exited the castle at the time of Bigelow’s death, making Duffy think that she likely threw herself off one of the high walls inside. But the forensics experts conclude someone murdered Bigelow, whom Duffy soon connects to a delegation of Finnish businessmen visiting Northern Ireland to perhaps bring new jobs. 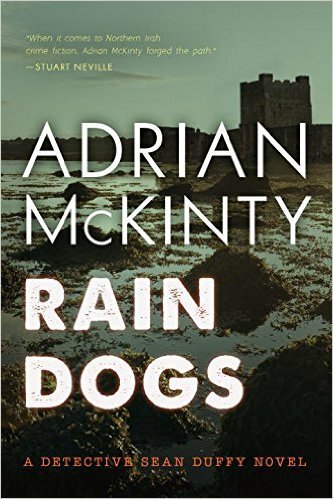 McKinty expertly balances Duffy’s tense and suspenseful investigation with the political tensions of the region.